You are browsing the archive for #openeducationwk. Last week the OER community celebrated its first OER Festival in Berlin which consisted of an OER Camp and an OER conference/forum (here is the German website). 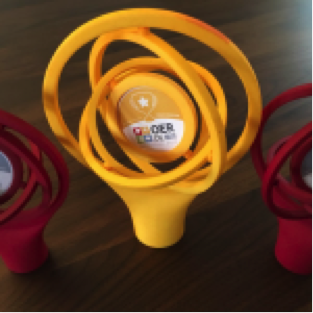 After the successful OER13 and OER14 conferences in Germany, the goal was to broaden and intensify the debate about OER with relevant stakeholders. 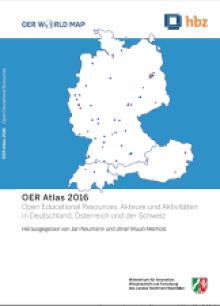 In this regard, two additional OER projects are worth mentioning as they are funded by the German government and targeted at “Mapping OER” and synthesising affordances and requirements for infrastructure on which OER-related systems can be built and integrated (feasibility study). These projects have then led to a call for proposals from the Federal Ministry of Education and Research for (1) building and establishing a centre for information (and support) related to OER and (2) training for multipliers. 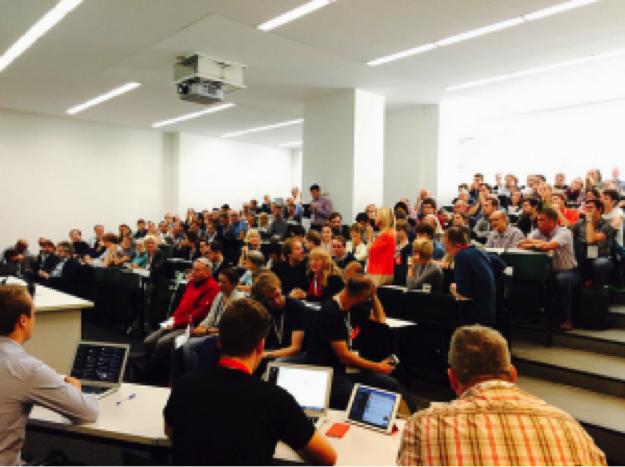 The OER Camp in Germany was based on an innovative format called BarCamps: these camps are participant-driven conferences, in which attendees share and learn in an open informal environment. Unlike traditional conferences that pre-schedule a programme, BarCamps rely on input from attendees to create the session programme on the spot and collaborate ad hoc on emerging topics. Since 2012, several such camps have taken place in Bremen, Bielefeld and Berlin. On top of the ad hoc sessions, some workshops are offered by the members of the emerging OER Camp, who are practitioners and educators in media for education, adult educators, school teachers, researchers, policy-makers, educational publishers, and OER advocates. Overall and to sum up this brief review, it was an inspiring OER event given the diversity of formats and the nicely orchestrated opportunities for discussions. 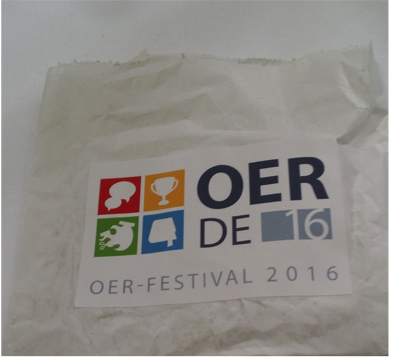 There are exciting times ahead of us and it is in the hands of all of us to keep OER going. Anne-Christin Tannhäuser is a project coordinator in technology-enhanced learning and open education programmes and a consultant on educational innovation. 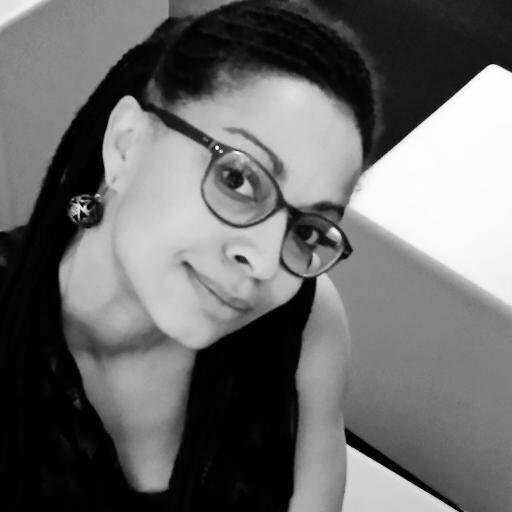 She holds a Master’s degree in Educational Sciences and Linguistics from the University of Leipzig and she was trained at the Max Planck-Institute for Human Development, Berlin, in the use of qualitative and quantitative research methodologies. In the past seven years she has managed and contributed to several TEL initiatives at national and European levels, including for the European Foundation for Quality in E-Learning, Cooperative State University Baden-Württemberg, Knowledge Information Centre Malta, Wikimedia Germany, University of Applied Sciences Ruhrwest, Linnaeus University and the Institute of Prospective Technological Studies (European Commission) in the field of open education, recognition of open learning and evaluation/communication of R&D projects. She coordinated the Open Access journal INNOQUAL, the International Journal for Innovation and Quality in Learning, for two years. She is also an associate researcher at the Berlin campus of ESCP Europe, a private business school with six locations in the EU. 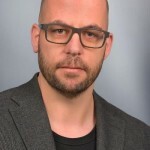 Dr. Markus Deimann, has since September 2013 been Assistant Professor (Akademischer Rat) in the Department of Instructional Technology and Media at FernUniversität Hagen. He completed his studies of Educational Sciences and Political Sciences at the University of Mannheim. Afterwards he worked as Research Assistant on the Project BMBF “Mulitmediales Fernstudium has been Medizinische Informatik (MEDIN)” (Multimedia-based Distance Study Medical Computer Science) at the Technische Universität Ilmenau (Ilmenau University of Technology) and at the University of Erfurt. Furthermore, he was a Visiting Scholar at the Florida State University, Tallahassee (USA) for one year. In 2011 he was a Scholarship Holder at the Open University (UK) for three months. 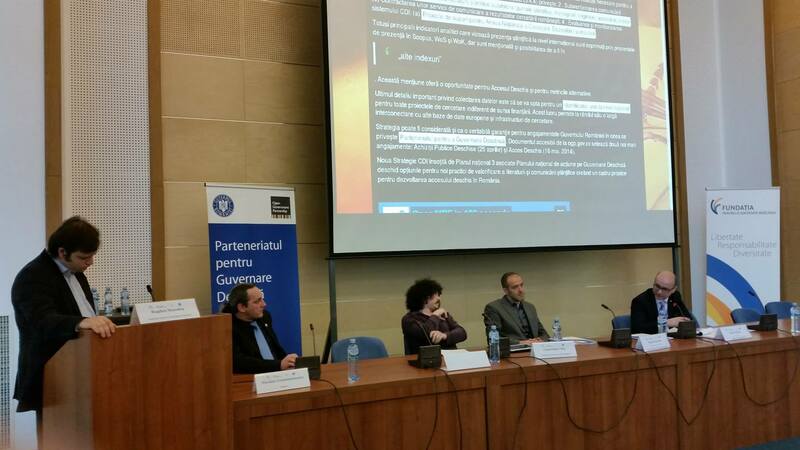 Adelin Dumitru has written a post for us about the second Romanian National Open Education Conference held in Bucharest as part of Open Education Week. 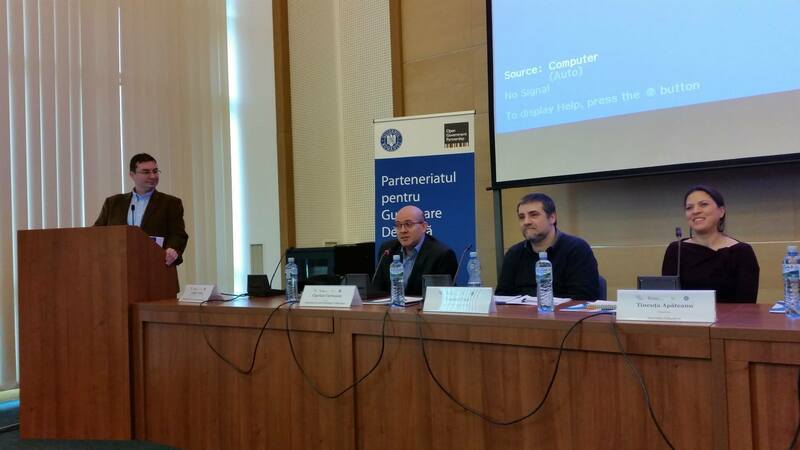 The event was organised by the Open Society Foundation and Coalition RED Romania. Adelin works for datedeschise.fundatia.ro, a Romanian platform that hosts information about open data projects, events and news. 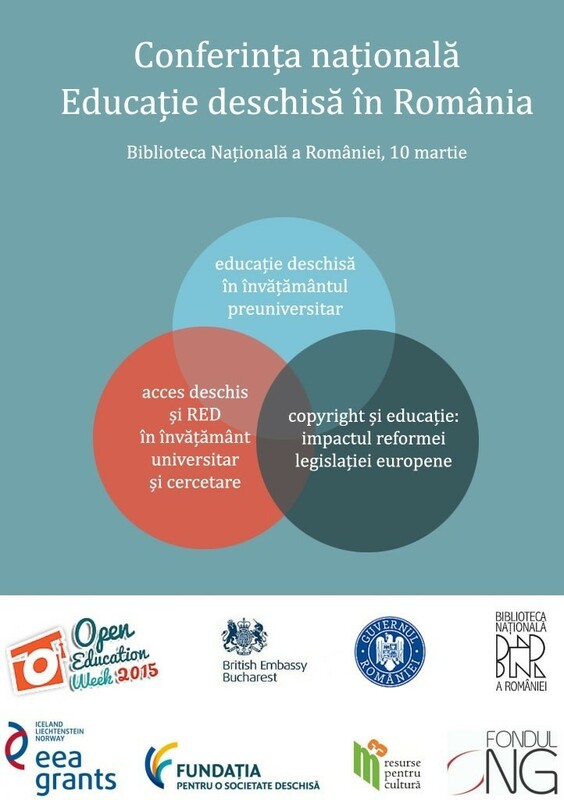 On 10th of March the Open Society Foundation, endorsed by the Government of Romania and the Embassy of the United Kingdom in Romania organised a Romanian National Open Education Conference in order to reaffirm Romania’s commitment to the principles of open education. This year’s Conference, the second to have taken place in Romania, represents a step forward towards cementing this tradition in a country which lacks a culture of openness, a fact which was reiterated throughout the event by some of the panelists. A full agenda for the day is available in Romanian. The discussions at the conference mainly focused on harnessing the potential of open educational resources in education and research and on the convoluted problem of copyright and the challenges this issue poses to the Romanian educational system. Ovidiu Voicu, the Open Society Foundation’s Public Policy Department director, opened discussions in the panel session on ‘An open framework for education in secondary education’ with an intervention in which he emphasised the benefits of open education. He focused on presenting the case for open education as a change of paradigm. An open educational system would purportedly solve some of the pressing problems of the current state of affairs. It would correspond with a permanent enhancement due to its focus on analysis and evaluation, with easing access to education due to its elimination of institutional barriers and with efficiently and transparently employing resources to achieve its ends. This last point is connected to another characteristic of an open educational system, that it is deeply interwoven with technological advances. Another point he has made is that to enter the open education paradigm would require neither legislative changes nor investments. What is needed, instead, is a change of perspective, which can be accomplished only by conceptually integrating and coordinating the many strategies that currently co-exist but do not interact as they should. Moreover, the open education paradigm does not entail massive investments, though it requires a rethinking of the way we allocate resources. Although open education is not a panacea, international good practice examples show us that it can have propitious effects, such as increasing educational equity by easing access to educational resources, raising standards and improving quality by promoting peer evaluation, increasing community’s interest in education, stimulating innovation and increasing competition and making investments in education cease to be seen as uncertain, and instead become safer bets. One particular field where open education effects could be immediately seen is that of online textbooks, which would effectively implement a proposal mentioned in the National Education Law. This makes reference to an online platform which would host open educational resources at a national level. During the conference this was contrasted with the actual online textbooks, which are neither open source nor legally open, since they do not have any associated license. This makes things complicated for authors, since the lack of a specified legal status represents a disincentive for improving upon the existing textbooks. Another proposal in the spirit of open education would be increasing transparency and integrity of educational institutions. This could be done by publishing budgets and by ensuring that consulting procedures are respected by the Ministry of Education. Interventions from the public have brought up some interesting aspects, such as the fact that parents may be those who oppose change and who pose threats to the shift to an open education paradigm. The conclusion that has been drawn was that teachers should be those to educate not only children, but also parents, presenting the advantages of open education and trying to reduce their incredulity in alternatives to traditional textbooks, for instance. One participant has mentioned that textbooks represent anchors for parents, which preclude them from seeing the real benefits of reforms. Such issues will have to be dealt with if we want a paradigm shift. The second panel session focused on open access and open educational resources in high education and research. Nicolaie Constantinescu of Kosson explained to the public concepts such as open access, open resources, licenses, and shed some light on misconceptions associated with these concepts. He elaborated on the history of open education in Romania, focusing on open access via data bases. Radu Atanasiu, Adjunct Lecturer of Critical Thinking at the Maastricht School of Management Romania highlighted the utility of Massive Online Open Courses (MooCs) and also their hidden potential which could be tapped in the future by Romanian scholars and students. Constantin Vică, from the Research Centre in Applied Ethics, talked about the problems encountered by researchers in accessing data, and also about the difficult state of Romanian journals in the context of globalization of knowledge and keeping up with international household names. The last panel session represented an extensive debate on copyright and education. There have been put forward two perspectives, one promoting a relaxation of copyright and the other supporting a better enforcement of copyright. While the latter represents the dominant perspective, the debate has shown that the counterarguments should not be easily dismissed. The Analysis Report of the EU legislation, realized by Julia Reda, Member of the European Parliament, has been presented as the main case against copyright protection. Contentious topics such as the status of orphan works have been brought up, proving the numerous lines that can be opened by such a discussion, benefiting from a framework that reunited specialists and practitioners in the field. One proposal has been that the Ministry of Education should put at the public’s disposal digital textbooks in workable formats, without restrictions on their usage, according to the principle “any resource produced with public money shall have open access“. All in all, the Romanian National Open Education Conference gathered 130 participants, among these professors, inspectors, scholars, representatives of the government, of student associations, of non-governmental organizations. An increased interest can be noticed in comparison to last year’s edition, the number of participants almost doubling, proving that, to a certain extent, the Romanian public has become more intent to learn about open educational resources. 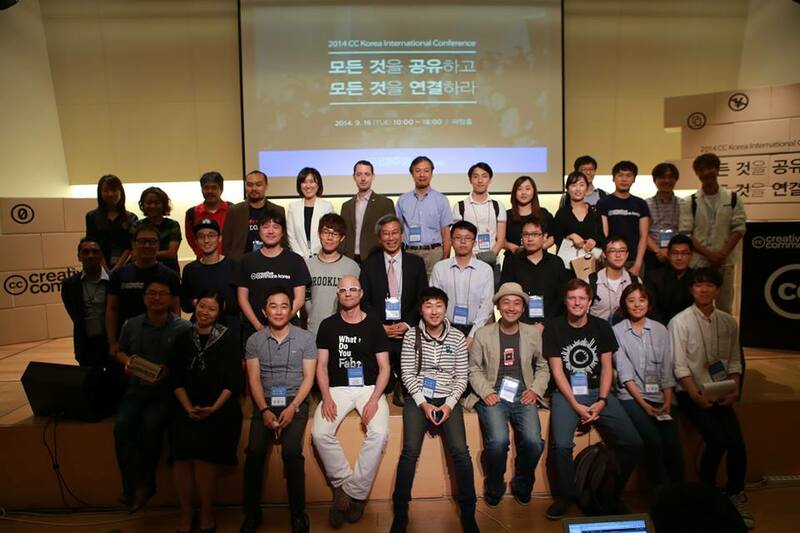 This could be a harbinger that the aforementioned paradigm shift is due to happen at one point or another, and it is through events like these that the public becomes informed and from this awareness can emerge the necessary reforms and the necessary change of perspective on education, transparency and integration. More details about the event are available from the datedeschise.fundatia.ro website in Romanian. 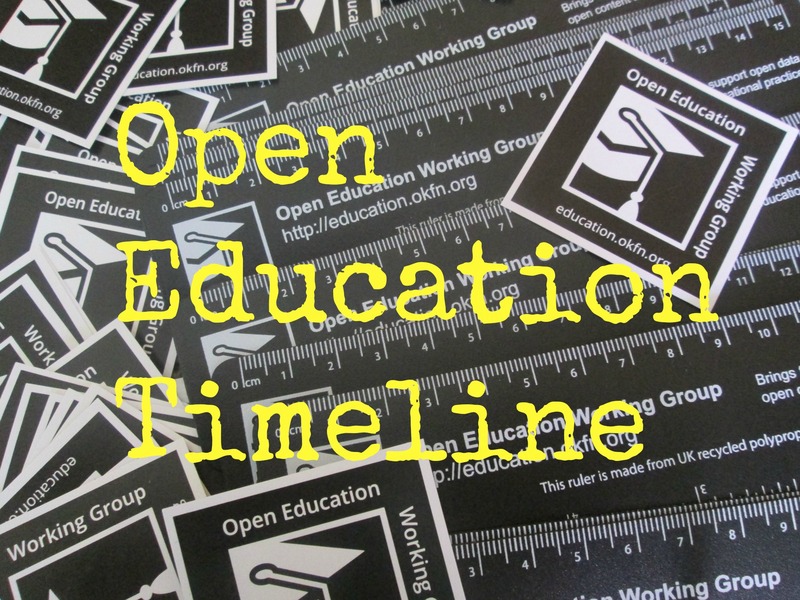 Our next post for Open Education Week is from Sara Frank Bristow on the ADOERUP work to produce a “Note” (short briefing report) to the European Parliament Culture and Education Committee on the use and potential of Open Educational Resources (OER) for Adult Education/Adult Learning. This work supports the POERUP, Policies for OER Uptake previously posted about on this blog. 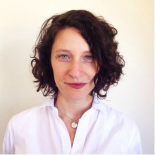 Sara Frank Bristow, founder of Salient Research, LLC, is a digital education researcher and writer based in Chicago, US. She is presently writing the UK Country Report for the Sero Consulting Ltd ADOERUP (Adult Education and Open Education Resources) study. Recent projects for Sero and other clients have focused on online, blended and open learning, with an emphasis on drivers, business and learning models for OER. Adult learning is a vital component of the European Commission’s lifelong learning policy. It is essential to competitiveness and employability, social inclusion, active citizenship, and personal development across Europe. The challenge is to provide learning opportunities for all, especially disadvantaged groups who need them most. It comprises formal, non-formal, and informal learning for improving basics skills, obtaining new qualifications, up-skilling, or re-skilling for employment. The demand for adult learning is increasing and the Commission is committed to helping all EU countries create adult learning systems characterised by flexibility, high quality, excellent teaching, and an enhanced role for local authorities, employers, social partners, civil society, and cultural organisations. In 2013 the European Commission published a communication on OER and MOOCs. This highlighted the potential of OER in adult learning. OER in fact make use of large scale digital technologies and the aim is to support a radical development of new teaching methodologies based on the use of ICT. The Communication emphasizes that, likewise, in adult learning ICT and OER offers huge potential for structural change. Therefore efficient tools and methodologies will prove decisive in handling future funding needs. In the Communication, the Commission mentions that it plans to create a new network called EPALE (Electronic Platform for Adult Learning in Europe). Make suggestions for possible action to be taken. The study is thus expected to serve three distinct functions: Description, Assessment and Recommendations. What is the availability and feasibility of OER in adult learning? What possible actions may be taken in order to enhance the use of OER in adult learning? How can OER be integrated into certified courses provided to adult learners? What is their sustainability (in terms of work and funding)? What quality aspects may be considered in the use of OER in adult learning? What quality assurance issues may be considered? How OER can improve the quality and efficiency of training and education in adult learning? 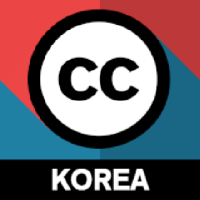 Is management of Creative Commons licenses specific and in what respect? Do OER improve the knowledge base on adult learning and contribute to a better monitoring of the adult learning sector? If yes, how? How OER can contribute to raising participation rates in adult education? What are the implications for educational planners and decision-makers of use of OER in adult learning? In particular what issues of accreditation/validation of skills and competences acquired via OER could be considered? How existing policy tools to support adult learning can best be used for the inclusion of OER? What is the role of educational establishments (particularly universities) to design, plan and implement education based on OER? The study will focus on: United Kingdom, Spain, France, Sweden, Latvia, Hungary, Romania and Germany. Sero has been commissioned to do a report for the Education and Culture Committee of the European Parliament on OER in Adult Education in the EU. Obviously we shall leverage on POERUP and on three relevant studies done for IPTS but we want to make sure we are up to date with the last 6 months of information on important projects developing OER for use specifically in Adult Learning (rather than spilling over into Adult Learning) – across all educational sectors: key skills (numeracy, literacy, IT skills, etc), school-level qualifications for adults, Vocational Education and Training, and University Education in a Lifelong Learning context. We are particularly interested in the following Member States: UK, France, Germany, Spain, Hungary, Romania, Sweden and Latvia, but projects from any Member State are of interest. For policy aspects I shall be talking in depth to authors of EU-level and Member State OER-related policy documents, to perform a realignment of POERUP-style recommendations to the Adult Learning/Lifelong Learning/Flexible Learning domain. Please contact Paul Bacsich if you are a local expert or policy expert with relevant information. In the second of our Open Education Russia blog posts and the third of our #openeducationwk posts Anna Sakoyan and Irina Radchenko look at how they have been experimenting with data expeditions. 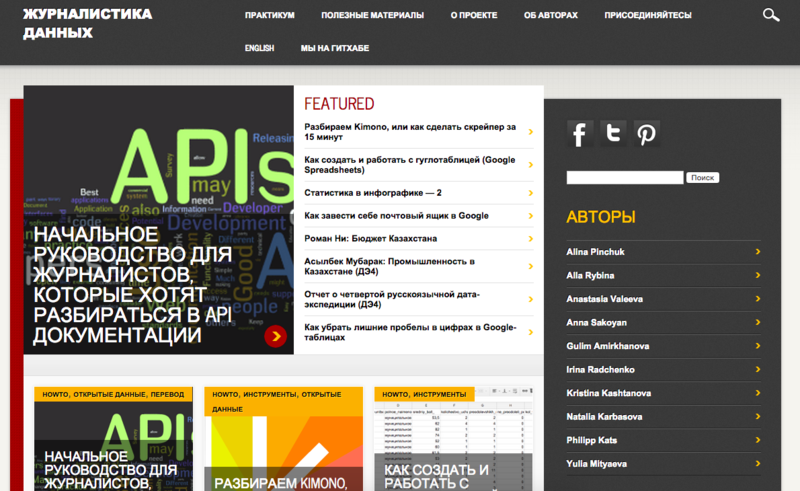 The first post gave an overview of Open Education projects in Russia. The authors of this post are Anna Sakoyan and Irina Radchenko, who together founded DataDrivenJournalism.RU. 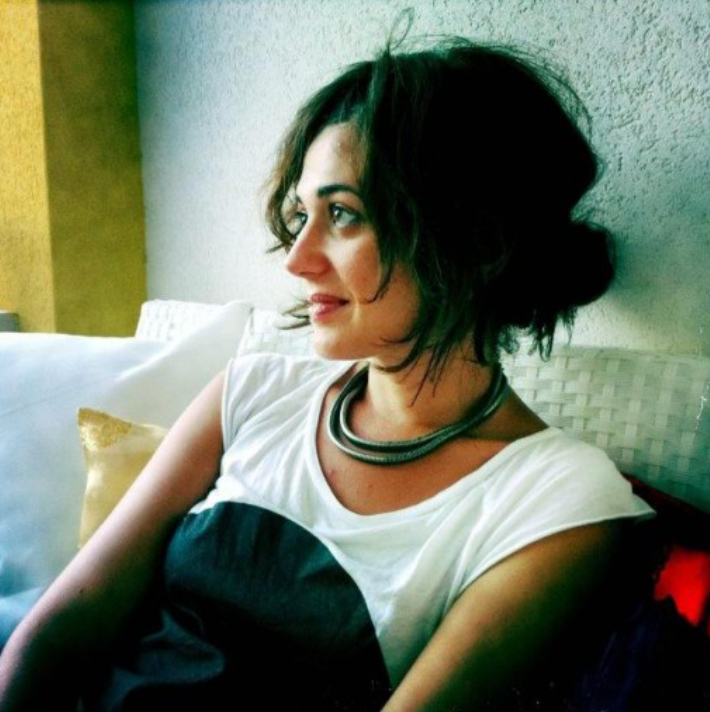 Anna is currently working as a journalist and translator for a Russian analytical resource Polit.ru and is also involved in the activities of NGO InfoCulture. You can reach Anna on Twitter on @ansakoy, on Facebook and on LinkedIn. She blogs in English at http://ourchiefweapons.wordpress.com/. 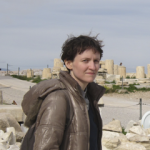 Irina Radchenko is a Associate Professor at ITMO University and Chief Coordinator of Open Knowledge Russia. You can reach Irina on Twitter on @iradche, on Facebook and on LinkedIn. She blogs in Russian at http://iradche.ru//. 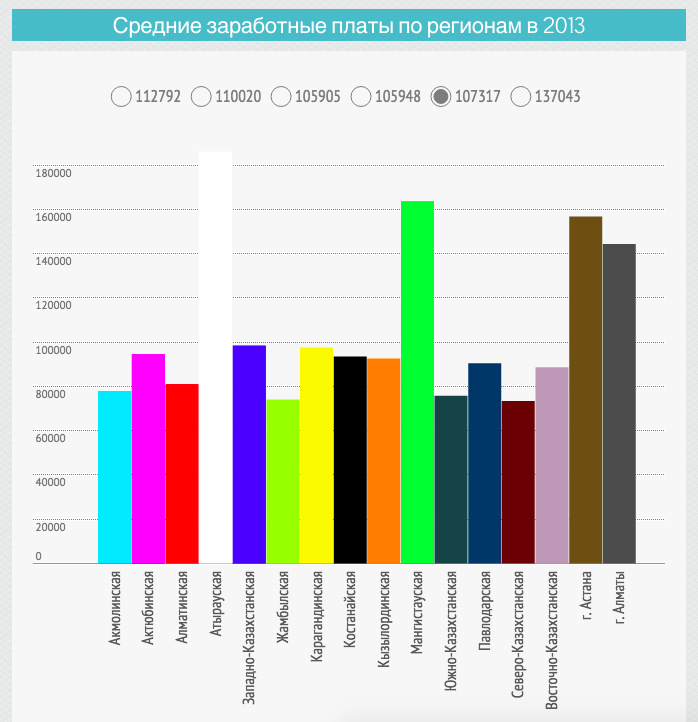 The open educational project DataDrivenJournalism.RU was launched in April 2013 by a group of enthusiasts. Initially it was predominantly a blog, which accumulated translated and originally written manuals on working with data, as well as more general articles about data driven journalism. Its mission was formulated as promoting the use of data (Open Data first of all) in the Russian-language environment and its main objective was to create an online platform to consolidate the Russian-speaking people who were interested in working with data, so that they can exchange their experiences and learn from each other. As the number of the published materials grew, they had to be structured in a searchable way, which resulted in making it look more like a website with special sections for learning materials, interactive educational projects (data expeditions), helpful links, etc. On one hand, it operates as an educational resource with a growing collection of tutorials, a glossary and lists of helpful external links, as well as the central platform of its data expeditions; on the other hand, as a blog, it provides a broader context of open data application to various areas of activity, including data driven journalism itself. After almost two years of its existence, DataDrivenJournalism.RU has a team of 10 regular authors (comprised of enthusiasts from Germany, Kazakhstan, Russia, Sweden and UK). More than a hundred posts have been published, including 15 tutorials. It has also launched 4 data expeditions, the most recent in December 2014. The term data expedition was first coined by Open Knowledge’s School of Data, which launched such peer-learning projects both in online and offline formats. We took this model as the basic principle and tried to apply it to the Russian environment. It turned out to be rather perspective, so we began experimenting with it, in order to make this format a more efficient education tool. In particular, we have tried a very loose organisational approach where the participants only had a general subject in common, but were free to choose their own strategy in working with it; a rather rigid approach with a scenario and tasks; and a model, which included experts who could navigate the participants in the area that they had to explore. These have been discussed in our guest post on Brian Kelly’s blog ‘UK Web Focus’. Our fourth data expedition was part of a hybrid learning model. Namely, it was the practical part of a two-week’s offline course taught by Irina Radchenko in Kazakhstan. This experience appears to be rather inspiring and instructive. The fourth Russian-language data expedition (DE4) was a part of a two-week’s course under the auspices of Karaganda State Technological University taught by Irina Radchenko. After the course was over the university participants who sucessfully completed all the tasks within DE4 received a certificate. 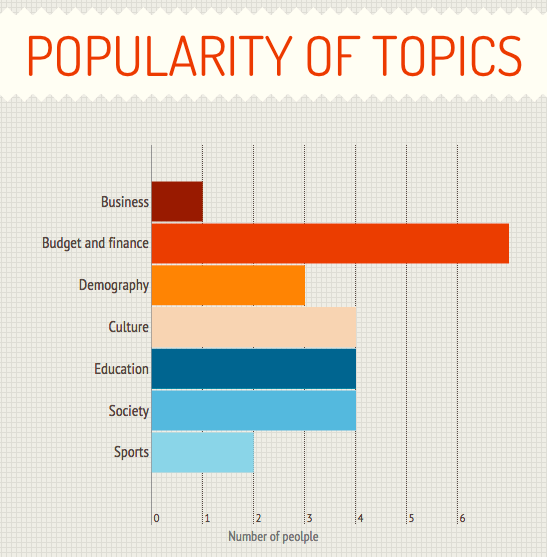 Most interesting projects were later published at DataDrivenJournalism.RU. One of them is about industry in Kazakhstan by Asylbek Mubarak who also tells (in Russian) about his experience of participating in DE4 and also about the key stages of his work with data. The other, by Roman Ni is about some aspects of Kazakhstan budget. First off, it was a unique experience of launching a data expedition outside Russia. It was also interesting that DE4 was a part of a hybrid learning format, which combined traditional offline lectures and seminars with a peer-learning approach. The specific of the peer-learning part was that it was open, so that any online user could participate. The problem was that the decision to make it open occurred rather late, so there was not much time to properly promote its announcement. However, there were several people from Russia and Ukraine who registered for participation. Unfortunately none of them participated actively, but hopefully, they managed to make some use of course materials and tasks published in the DE4 Google group. This mixed format was rather time-taking, because it required not only preparation for regular lectures, but also a lot of online activity, including interaction with the participants, answering their questions in Google group and checking their online projects. The participants of the offline course seemed enthusiastic about the online part, many found it interesting and intriguing. In the final survey following DE4, most of the respondents emphasised that they liked the online part. The initial level of the participants was very uneven. Some of them knew how to program and work with data bases, others had hardly ever been exposed to working with data. DE4 main tasks were build in a way that they could be done from scratch based only on the knowledge provided within the course. Meanwhile, there were also more advanced tasks and techniques for those who might find them interesting. Unfortunately, many participants could not complete all the tasks, because they were students and were right in the middle of taking their midterm exams at university. 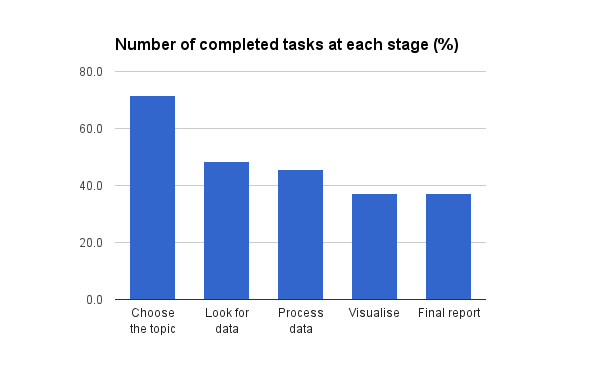 Compared to our previous DEs, the percentage of completed tasks was much higher. The DE4 participants were clearly better motivated in terms of demonstrating their performance. Most importantly, some of them were interested in receiving a certificate. Another considerable motivation was participation in offline activities, including face-to-face discussions, as well as interaction during Irina’s lectures and seminars. Technically, like all the previous expeditions, DE4 was centered around a closed Google group, which was used by the organisers to publish materials and tasks and by participants to discuss tasks, ask questions, exchange helpful links and coordinate their working process (as most of them worked in small teams). The chief tools within DE4 were Google Docs, Google Spreadsheets, Google Refine and Infogr.am. 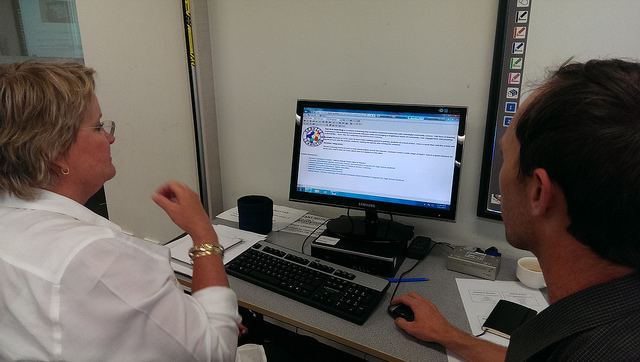 Participants were also encouraged to suggest or use other tools if they find it appropriate. 42 people registered for participation. 36 of them were those who took the offline course at Karaganda State Technical University. Those were most active, so most of our observations are based on their results and feedback. Also, due to the university base of the course, 50% of the participants were undergraduate students, while the other half included postgraduate students, people with a higher education and PhD. Two thirds of the participants were women. As to age groups, almost a half of the participants were between 16 and 21 years old, but there was also a considerable number of those between 22 and 30 years old and two above 50. 13 per cent of the participants completed all the tasks, including the final report. According to their responses to the final survey, most of them did their practical tasks by small pieces, but regularly. As to online interaction, the majority of respondens said they were quite satisfied with their communication experience. About a half of them though admitted that they did not contribute to online discussions, although found others’ contributions helpful. General feedback was very positive. Many pointed out that they were inspired by the friendly atmosphere and mutual helpfulness. Most said they were going to keep learning how to work with open data on their own. Almost all claimed they would like to participate in other data expeditions. DE4 was an interesting step in the development of the format. In particular, it showed that an open peer-learning format can be an important integral part of a traditional course. It had a ready-made scenario and an instructor, but at the same time it heavily relied on the participants’ mutual help and experience exchange, and also provided a great degree of freedom and flexibility regarding the choice of subjects and tools. It is also yet another contribution to the collection of materials, which might be helpful in future expeditions alongside with the materials from all the previous DEs. It is part of a process of gradual formation of an educational resources base, as well as a supportive social base. As new methods are applied and tested in DEs, the practices that proved best are stored and used, which helps to make this format more flexible and helpful. What is most important is that this model can be applied to almost any educational initiative, because it is easily replicated and based on using free online services. 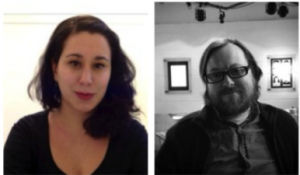 In the first of our posts for Open Education Week #openeducationwk Javiera Atenas and Leo Havemann introduce the idea of using open data as a form of OER. In the words of the Rt Hon. Francis Maude in the Foreword to the UK Government’s 2012 Open Data White Paper [PDF], “data is the 21st century’s new raw material.” Open data is understood as “data that can be freely used, reused and redistributed by anyone – subject only, at most, to the requirement to attribute and sharealike” (Open Data Handbook, Open Knowledge, 2012). There is a general consensus that open data is becoming an invaluable resource for the research and scientific communities, as it supports and encourages more transparent research practices, supports scientific development and reproducibility, and it can be a model of good and open research practices in academia. More and more research funding agencies and academic publishers support and even mandate data sharing. For example, papers based on research funded in whole or in part by RCUK must include, if applicable, a statement on how the underlying research materials – such as data, samples or models – can be accessed. This type of data is normally shared by government agencies, academic institutions and researchers, but regular citizens and non-profit organisations also publish and release their data for other citizens to understand, for example, how money is spent, how scientific results were obtained or how cities work (see for example the work of the Open Transport Working Group). This data can be used in Higher Education to teach students using examples from real life and to help them understand the principles of data access, formats and management, as well as to assist in the development of research tools and to create new knowledge. According to the Open Definition, “universal participation” and interoperability are key components of open data practices. We suggest that universal participation needs to be inclusive, extending the possibilities of participation beyond researchers to include students in different levels of formal and informal education. The use of open data can bring enormous benefits for students, academics and researchers in universities, as students can learn using data extracted from real research, case studies and open government data. The development of critical thinking skills and the use of open data is also related with the use of open government data. Using datasets to analyse, review and evaluate the information provided by the governments, such as the data provided by the European Union, the UK’s open data portal, the UK census data or the London Data Store to mention some good examples, can help students become engaged citizens, and to use this “raw material” to contribute to society in new and yet-unimagined ways. 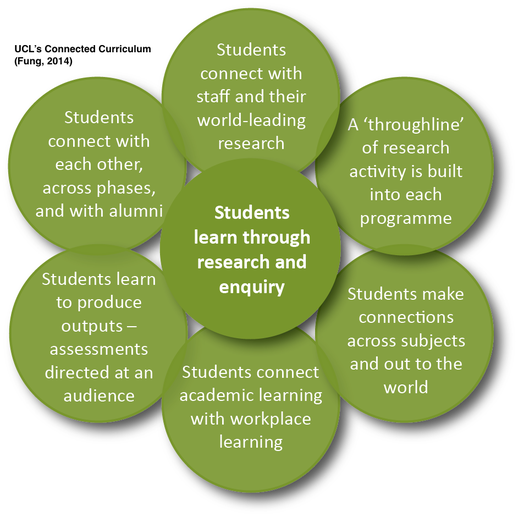 By sharing educational resources previously kept in isolation, initiatives such as University College London’s connected curriculum scheme and other research-based learning initiatives offer insights into other possibilities for taking advantage of research data produced not only in their own institutions but worldwide. When data is openly accessible, interoperable and reusable these type of outputs can improve the student experience as it reduces the friction between stakeholders and can potentially facilitate collaboration between academics, PhDs and postdoctoral researchers and students. Moreover, unlike educational and research outputs constrained by tighter licensing conditions and proprietary environments, open data and open educational resources allow all students to work with the same “raw materials” under the same or at least very similar circumstances. Increasing interoperability and reducing the friction to access and reuse research data should have a positive impact in research activities in universities. Research is currently lacking on open data as educational resources, and about how students can develop critical skills by using open datasets. 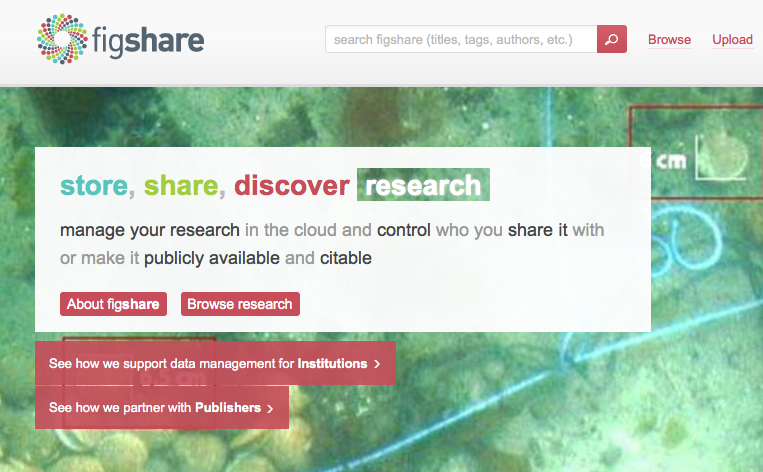 Researchers are sharing their datasets using open licenses in order to make them universally accessible to others, and open access repositories such as figshare support the upload and sharing of datasets and other research and educational outputs, which can then be downloaded and redistributed with creative commons licenses. However, the scientific community that embraces open science and open access remains circumscribed. The danger of the open data and open access landscape becoming an echo chamber is ever-present. Resources may be accessible, but they are not being cited, shared or reused. More to the point, in spite of different methods for open metrication, it is not yet known to what extent outputs on repositories like figshare are being used in teaching and learning. There is a need to understand how the academic community at large (beyond openness advocates) is benefiting and taking advantage of the use of open data in for teaching and learning. By using real data from research developed at their own institution, multidisciplinary research projects enable opportunities to develop students’ research and literacy skills and critical thinking skills by establishing ways for collaborations amongst students, researchers and academics. Collaborative research work studying, analysing, visualising and reusing open data, such as the work conducted at City University London by Wood et al. visualising data from the London bicycle hire scheme (2011) and by Weyde et al. developing new tools and methods to carry out research on large-scale music collections is being used in undergraduate and postgraduate teaching, and students in these courses are increasingly aware of specific open datasets and large open data collections as research resources. For more details see the Digital Music Lab and the following paper on Big Data for Musicology. There has also been considerable work done to create awareness of good practices in data citation (see for example DataCite, Force11 and DCC, as well some university library resources), which emphasise the role of datasets as a contribution to scholarship, as research references and as citeable outputs. However, most of this guidance is generally aimed at or known by a relatively limited number of developers, publishers of data and researchers, and not necessarily students (this may vary significantly from field to field and institution to institution, but published research and factual evidence is still lacking in this regard). Up to now it is not easy to locate dedicated studies, educational guidelines or toolkits, from the point of view of Open Educational Resources that consistently support the use of open data in teaching and learning. There is a lack of documentation and resources about best practices and standards for open data use within universities on their teaching and learning activities, and we suggest this is an area that requires urgent development. How can we, scholars, researchers and learning technologists understand and share expertise about the value of open data in teaching and learning, and about how it is being used by others? 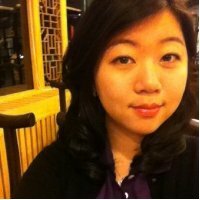 Initiatives like the School of Data (with a focus on developing data research skills in mid and low-income countries) and P2PU (with a focus on online peer learning) offer good models of what an OER-oriented open data research educational platform could look like, if resources were allocated to it. Students are usually given research outputs to learn about their subjects, but these have traditionally been journal articles and books, perhaps videos and eBooks when the resources exist and licensing and access are not an issue. In many disciplines, anecdotal evidence from teachers shows that students don’t often see research datasets or the research/lab logs. We suggest these are fundamental tools to comprehend research work, workflow and processes. Students should be given the opportunity to work in groups analysing datasets to conduct discoveries of their own and/or to attempt the replication of research findings. If students are only seeing research results, they have to trust them without having the tools to question or assess the source data directly. We believe that enabling students to understand good practices in data management and to locate, collect, cite and reuse open data resources is a key research skill, and one of the ways in which teachers can ‘flip the classroom’ to facilitate independent research, teamwork and critical digital and data analysis skills. 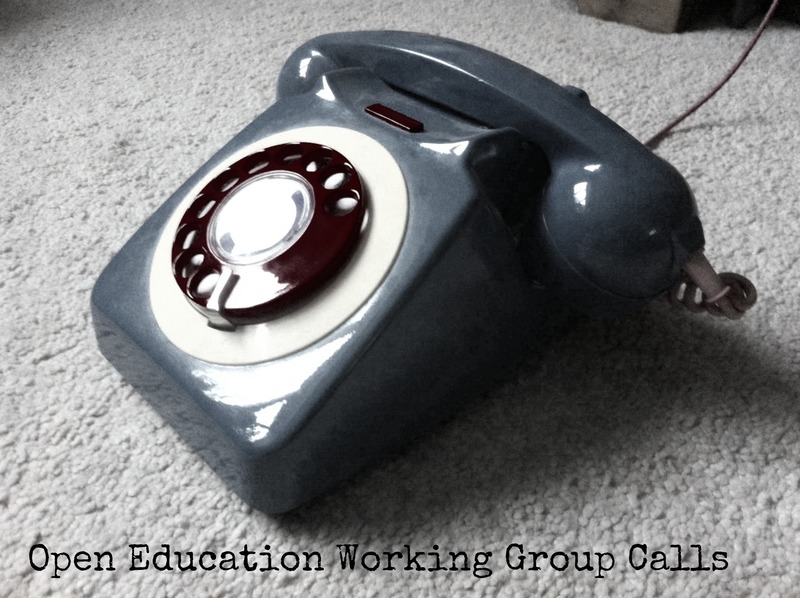 How academics are embracing open educational practices? 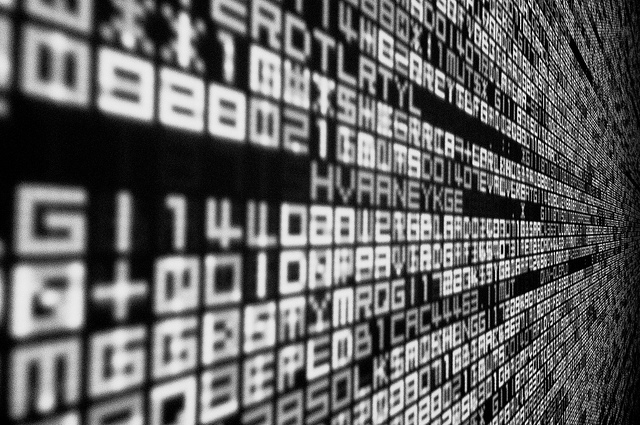 Are academics embedding open data in their curriculum and if so, how? 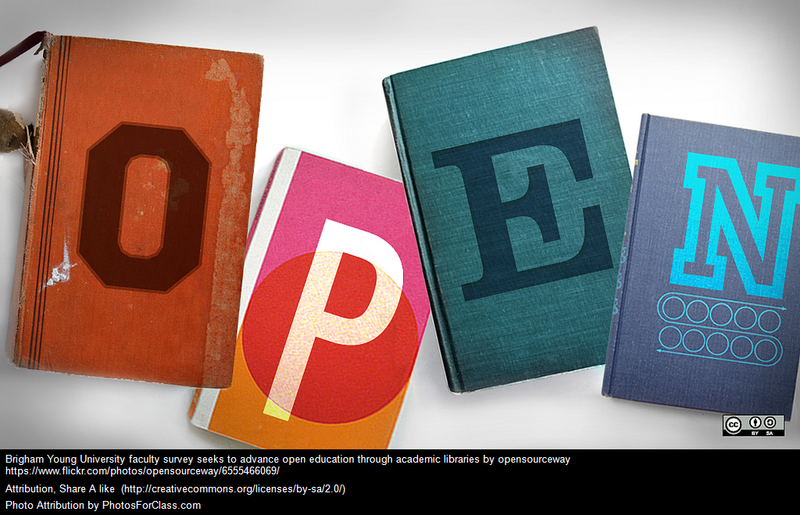 How are students in Higher Education benefiting from open data? How are students collaborating, learning and developing quantitative and qualitative research skills by using open data in the classroom? As an initial stage, we have prepared a very short and basic three-question survey. 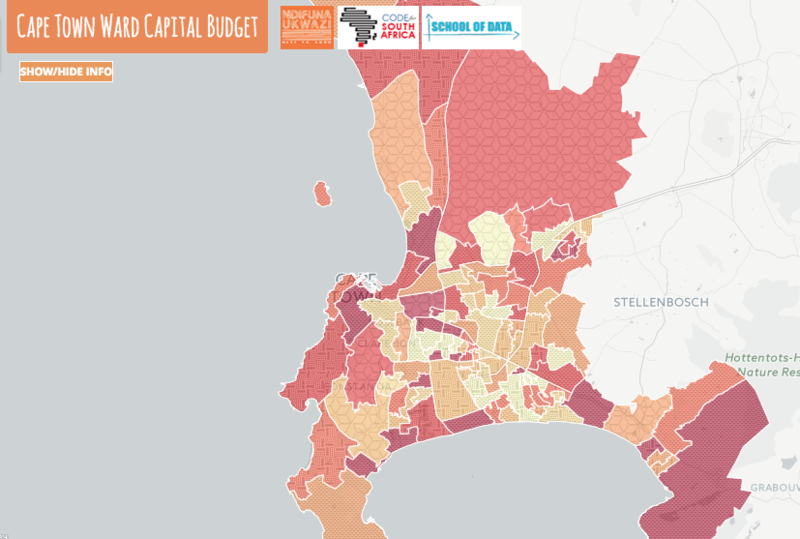 If you currently use open data for teaching, could you share your experience with us? It won’t take you more than 5 minutes. You can complete the survey here. Thank you! Javiera Atenas is a learning technologist at University College London and holds a PhD in education. Leo Havemann is a learning technologist at Birkbeck, University of London and holds an MA in Media and Cultural Studies. E. Priego is a lecturer at City University London and holds a PhD in Information Studies. 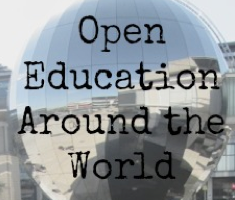 Next week is Open Education Week, a celebration of the global Open Education Movement. Its purpose is to raise awareness about the movement and its impact on teaching and learning worldwide. Participation in all events and use of all resources are free and open to everyone. Our working group members are involved in lots of great events. Here are some highlights. BCcampus is planning a week of Open Webinars for Open Education Week. Highlights include: A Discussion on Open Pedagogy, Distinguishing the dOERs: Faculty use of Open Educational Resources, Can I actually use it? Testing open textbooks for accessibility and The Open Web: (a) Lost (b) Reclaimed (c) Co-claimed (d) All of the above. 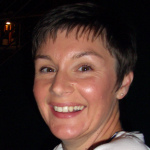 On 11th March Josie Fraser will be delivering an OER Schools Workshop to 100 primary schools staff from three schools – taking a whole school staff approach to embedding open practice. This is a follow up to the OER Schools conference on the 29th of January, building on the schools guidance and the permission Leicester City Council has given to it’s school employees to openly licence their work. I’ve rounded up as many of the outputs (videos, documents, info) from the day as possible, and these can be found here. On the 12th March Josie will be leading a practice focused session on copyright and OER at Coventry University’s Open Education Event (see more below). The second Opening Education Practices in Scotland project forum will take place in Stirling on the 19th March. Lorna Campbell will be talking about the Scottish Open Education Declaration. During Open Education Week, there will be an international series of webinars discussing topics of open educational practice and institutional collaboration, which is the work of the eMundus EU project. Hear from Wayne Mackintosh, Rory McGreal, and many others at a variety of times reflecting the different originating time zones. The Disruptive Media Learning Lab (Coventry, UK) is hosting a two-day event during Open Education Week celebrating innovative, experimental and connected ways of teaching and learning in higher education and beyond. These days will provide: stimulating ideas to listen to; challenging conversation to join in with; and transformative activities to participate in. At this event the results of the survey report on the perception and objectives of European higher education institutions on MOOCs and the main drivers behind the MOOC movement will be presented.